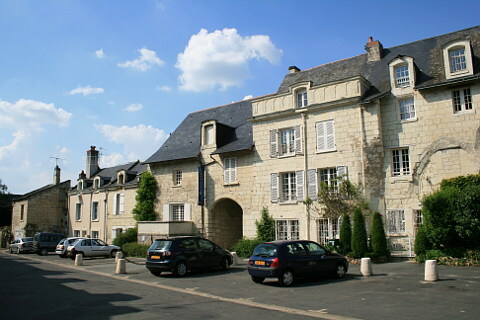 Montsoreau is situated in a splendid position. 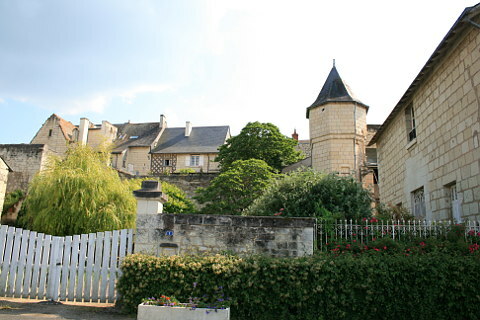 It is not only on the banks of the Loire river in the Loire Valley which is a UNESCO World Heritage Site, it is also right next to another "most beautiful village of France" meaning that you can very easily visit both in a morning! 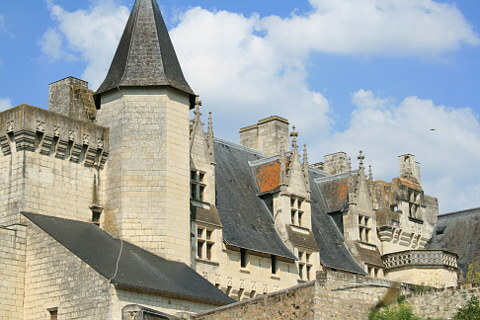 The buildings of Montsoreau are built of the traditional white tuffeau stone and have steep grey slate roofs. As an ensemble it is very harmonious and very elegant. Add to this the abundance of flowers that make the village a "village fleuri', the castle, mushroom museum and mills and you can see why it is such a popular village. 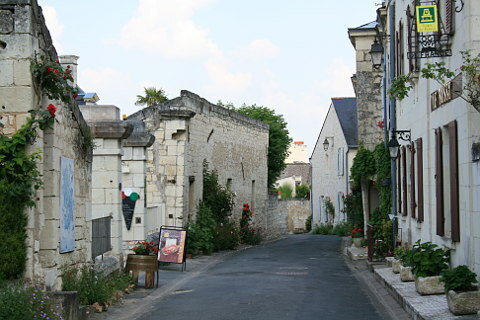 Wandering along the streets of Montsoreau and along the edge of the river is a pleasure. The tourist office in the village can give you a map to ensure you get the most from your visit. Visit the church of Saint Pierre de Rest and the Maison du Parc which can give you information about the Parc naturel regional Loire-Anjou-Touraine of which Montsoreau sits at the centre. 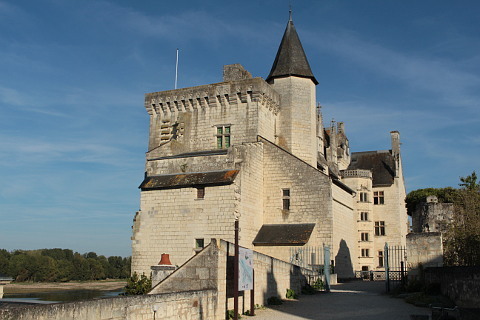 The castle of Montsoreau is 15th century and built in Renaissance style. It is now home to a contemporary art museum and has the world leading collection of Conceptuel Art. Another interesting attraction is the champignonnière or mushroom cave. This is a large troglodyte cave which has been dug out since medieval times to quarry the white touffeau stone. The extensive galleries are now used to grow mushrooms but also include some troglodyte dwellings which have been kept in their original state and are now used as a troglodyte restaurant! Visitors can explore the mushroom growing caves, which have been used for mushroom growing since the 19th century, and can of course eat in the restaurant. Montsoreau was made 'famous' by the book of Alexandre Dumas, 'la Dame de Monsoreau'. 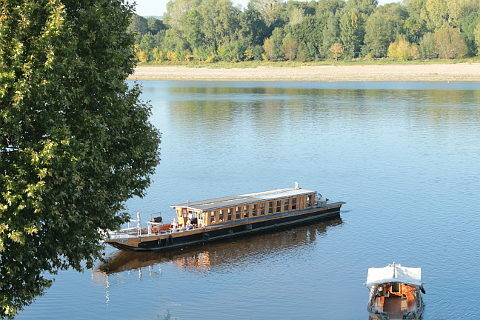 This stretch of the river Loire has also been painted by famous artists including William Turner. Every second Sunday of the month Montsoreau hosts a large flea market on the rive'rs edge making it an excellent time to visit. Montsoreau is also on the "La Loire à Velo" cycle route and so is a popular spot with cyclists in the summer. Candes-Saint-Martin is another "most beautiful village of France" and is an easy walk away making the two villages easy to visit in the same day or half day. Saumur is an attractive town and the Chateau of Saumur is in the centre of town. 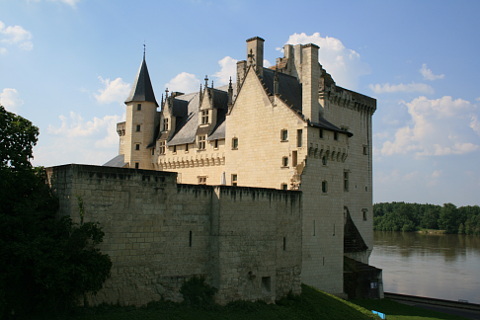 Chinon was one of our favourite Loire valley villages and has an interesting medieval chateau, the Chateau de Chinon. Most of the castles in the area are Renaissance so this makes a change if you are visiting lots. The attractive town of Saumur is home to the Chateau de Saumur and the renowned School of Cavalry riding school famous for the 'Cadre Noir'. 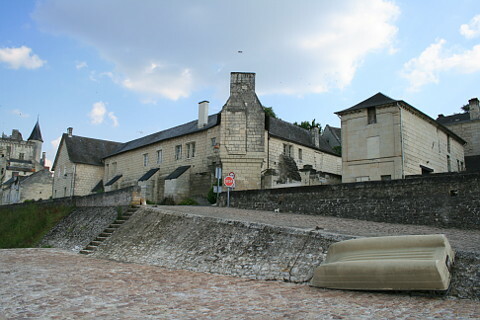 The Chateau de Langeais has some fine 15 and 16th century tapisteries and furniture. Langeais is best known for its castle, the Chateau de Langeais but it has an attractive town centre.